While any serious photographer knows that megapixel count is not what makes a good camera, there are instances when one wishes for more resolution. Well, the Canon 5DS and 5DS R are here to deliver, not just more – a lot more megapixels. 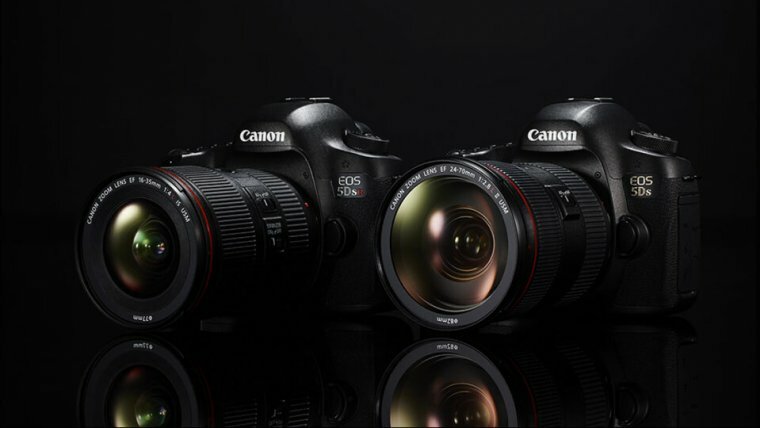 Looking at what is essentially a 5D Mark III / Mark IV body, both of these models feature the same 50.6 MP (yes, you read that right) full-frame sensor and also share all other specifications – except for one difference: The Canon 5DS has a low-pass (anti-alias) filter, while the 5DS R does not. This gives a slight edge for the 5DS R when it comes to detail sharpness, but we will examine that more closely later on in the review. Now that we have that out of the way, note that we are doing most of the testing with the Canon 5DS R, and the ‘S’ version will only be mentioned when appropriate. Just before the 5DS R was announced, rumors had it have suspected this was the long-awaited successor to the 5D Mark III, but Canon has since released the 5D Mark IV. While the 5D Mark III / IV are high-end all-around DSLRs, the 5DS R brings a different basket altogether. The high megapixel count makes it a primary choice for detail-hungry landscape photographers, as well as studio portrait photographers. On the other hand, the 5DS R has a limited native ISO range – only ISO6400 at the upper limit, making it less than ideal for low light and sports photography. Among other novelties, we have a new DIGIC 6 processor and UHS I SD card slot, allowing for an impressive 5 FPS continuous shooting mode. More than three years after the release of the 5D Mark III, the 5DS R is packing exactly the same body. It’s large and heavy, but very resistant as well. Long-time Canon users, especially professionals, will not have a problem with the same old design. It has an excellent deep grip, a robust magnesium alloy body and is completely weather-sealed. Given that this DSLR goes hand-in-hand with high-quality full-frame lenses, which are naturally bulky themselves, it makes sense for the body to lie on the heavier side as well. Still, there is always room for improvement, and it would have been nice to see some level of modernization to arrive with the Canon 5DS R. Alas, Canon decided against it, as it did with the even later released Canon 5D Mark IV, featuring exactly the same body. Control placement – buttons, dials, switches on the 5DS R is the same as on 5DS, as well as those on 5D Mark III and Mark IV. We have no complaints here, it is a tested design that just works very well. The body is large enough for allow for a full range of manual controls, with just enough space in between each button to avoid the feeling of everything being crammed too closely together. While featuring the same design as the 5D Mark III, even photographers coming over from other high-end Canon bodies will have an easy time adjusting to these controls. Ergonomics and general handling of this camera feel great. Anyone with average or large-sized hands will find it very comfortable to hold, and a deep, rubber-textured grip on the front ensures a firm hand grip. The same texture is found on the rear, where the thumb resides. A+ which is Canon’s Intelligent Auto mode which controls all the shooting parameters as well as the internal flash. P for Program mode, which is basically a semi-automatic mode – it adjusts aperture and shutter speed while leaving the rest of the settings for you to adjust manually. Tvfor Shutter priority mode where you choose the shutter speed and let the camera take care of the rest. Av which is Aperture priority mode similar toTv. B for Bulb mode which allows you to keep the shutter open for as long as you like as long as you keep the shutter button pressed. However, we strongly suggest using this mode only while the camera is mounted on a tripod and using a remote shutter as longer shutter speeds makethe sensor very sensitive to vibration, which can result in a blurry photo. C1, C2 and C3 for Custom modes. These are usually reserved for higher-end DSLRs such as the Canon 5DS R. You can use each of these modes to program custom capturesettings for quick use. Unlike other DSLRs which feature standard four-way navigation buttons, Canon uses of a somewhat different system for their high-end DSLRs. At the bottom right on the rear of the camera where the four-way controller is usually found, there is large spinning-wheel which is used for quick exposure adjustments. It takes some getting used to but once you get the hang of it, it’s really easy to use. You can also turn off this wheel via a dedicated lock button located just beneath the wheel. Above the spinning wheel there is a smaller-sized joystick which is used for menu navigation – instead of the four-way navigation controller. Sitting just below the joystick is a small button marked with a ‘Q’ which stands for Quick menu control. Pressing this button shows a quick but customizable screen of different shooting parameters. Buttons to the left of the main LCD screen are mainly used for playback and media management, with two additional buttons above for accessing the menu and the info screen. The main display on the 5DS R is a 3.2-inch LCD with with 1040k dots. Display clarity is excellent and it is also sharp enough for close examination of your high-megapixel photos on-the-go. At maximum brightness you will have no problem viewing the screen outdoors, even in direct sunlight. While the main display’s performance is excellent, we have to say it is very basic feature-wise. There is no touch-capability nor is the screen tiltable. We understand Canon does not consider these features very important for professionals. Nonetheless, given that this is a landscape-oriented DSLR which will often be mounted on a tripod, a rotatable touch screen would significantly add to ease of use. One important characteristic for any semi-pro or pro DSLR is the inclusion of a secondary display. The 5DS R has this display positioned on the top. This is a smaller-sized LCD display that displays all the most important information. The addition of this secondary display allows for easier, faster and more practical shooting experience. Another advantage is its low power consumption, so whenever you use it instead of the main display you will save battery life. Lined up horizontally against the top side of the secondary info screen, there are four buttons used for quick-control, in conjunction with either the top or the rear LCD screen. These buttons have dual functionality and pressing one of the two control dials repurposes the buttons to corresponding settings. Adjusting any settings using the top controls is directly reflected in the viewfinder too, allowing for a fluid shooting experience without having to take your eyes off the viewfinder. As is tradition with DSLR design, the viewfinder at the top is optical. The OVF in 5DS R is excellent, providing 100% coverage and 0.71x magnification. It also the most information-rich viewfinder we have ever seen. Once you take a peak, you will have everything you need for continuous shooting. Combined with the secondary mini-screen on top, and an excellent LCD at the rear, fluent shooting experience is ensured. Canon 5DS R has two DIGIC 6 image processors, which provide excellent performance in regards to start-up time and image processing. This is why the 5DS R is able to shoot at impressive 5fps despite very large file sizes induced by ultra-high image resolution. To be clear, this burst rate is far from jaw-dropping when you consider the alternatives. There are many cheaper DSLRs which can shoot a lot faster than this. But this camera is obviously not intended for sports photography and anyone seriously considering it should be aware of this. 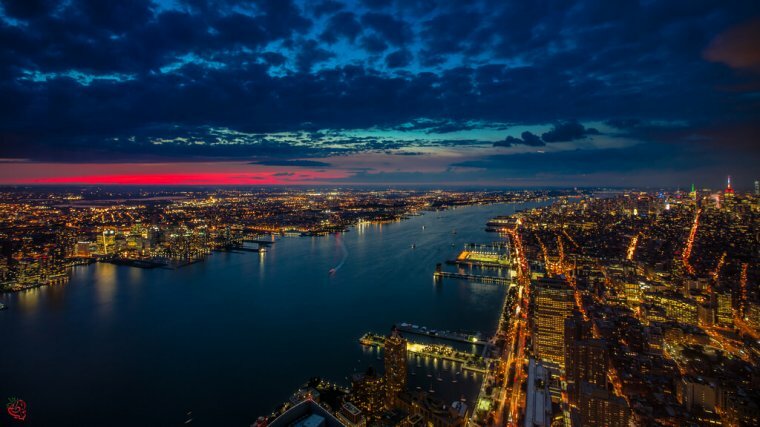 It also able to produce in-camera HDR images, as well as in-camera HDR processing. Both 5DS and 5DS R feature the same state-of-the-art Autofocus (AF) system, with 61 points out which 41 are cross-type. This allows for superb focusing performance, both in accuracy and speed, even in low light. Indeed, Canon installed one of the best AF system into the 5DS R on the market, and probably the best system in this class. We should note that 5 of the central points, when paired with fast lenses (F2.8 or faster) turn into double cross-type points which provide additional accuracy when shooting with these lenses. Double cross-type basically means the points are sensitive along a diagonal line in addition to horizontal and vertical (cross) focusing. The camera will be able to quickly acquire an accurate focus lock in majority of situations, including low-light situations. The sheer number of AF points, including cross-type points gives this camera a clear spec-sheet advantage over the Canon 5D Mark III,. Unsurprisingly this is translated into real life performance as well. In well-lit environment, the difference in speed and accuracy is barely noticeable, but in low light the 5DS R is a clear winner over the Mark III. However, if pitted against the 5D Mark IV, the 5DS R’s AF system might not fare so well. Like most other Canon DSLRs, there are three AF modes to choose from. You have your standard One Shot AF which is best for focusing on static objects separately for each frame. There is also AI Servo for continuous focusing on a moving subject. Finally, we you can choose to use AI Focus when you’re shooting both still and moving subjects, and you want the camera to automatically switch between One Shot and AI Servo modes depending on subject movement. Though the latter is somewhat slower, since it takes a moment for the camera to recognize whether the subject is moving or not. The camera has detailed options on selecting exactly how many and which AF points you want to use. You may choose to use a single AF point, an area or a zone of AF points. Set to Auto, the camera will use all available (61) AF points. Native ISO range of the Canon 5DS R is from ISO100 – ISO6400 and the expanded range is from ISO50 – ISO12800. You might be surprised to see ISO range topping at ISO6400 in a high-end Canon camera, especially in this price range. The reason for this lays in 5DS R’s biggest advantage – the ultra-high megapixel count. At 50MP, individual pixel size is too small to handle all the noise peeking in from higher ISO levels. While this is certainly true, our tests have shown Canon could have easily pushed this sensor further. Shooting in low light at ISO6400 in raw format, images do come out with noticeable noise, but with post-processing noise reduction applied, as well as oversampling down to a lower resolution can output very clean looking photos. With that said, the 5DS R definitely has a harder time coping with noise at base ISO as well as at its maximum expanded ISO12800. 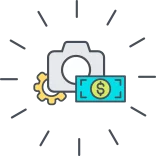 Countering this by oversampling the pixels helps, but in certain situations when you need to utilize the sensor fully either for print or image cropping, reducing resolution would go against the whole point of this camera. 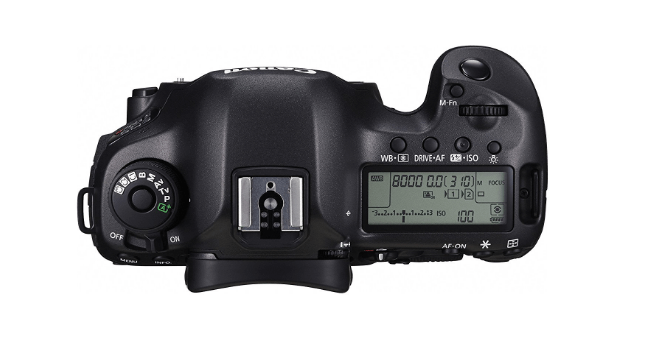 How we rate image quality of the 5DS R relies heavily on how the camera is used. The 50 million pixels allow for unprecedented level of details coming from any DSLR. The extra resolution also often provides increased overall sharpness in photos, especially with proper post-processing of raw files. On the other hand, this sensor is highly susceptible to noise, leading to smudged details in JPEG images. If used during daylight, on a tripod, this camera can produce jaw-dropping photos which surpass all other DSLRs on the market. Autofocus accuracy, color reproduction and moiré pattering are all excellent performers and attribute to final image quality of the 5DS R being quite impressive. The Canon 5DS and 5DS R came as somewhat of a surprising product from Canon in a way that they send a mixed message about their place in the market and who are they intended for. The body, which is shared by the Canon 5D Mark III and Mark IV, is superb in design and build quality. As soon as you take it into hands, you can feel this camera can take a beating, and then some more. Controls are designed to allow a lot of customization without sacrificing ease of use. The LCD screen and sharp and bright, which is great for nature shooting during sunny days. Optical Viewfinder has 100% coverage and 0.71x magnification, and is full of useful information to allow for a fluid shooting session. The 50.6MP full-frame sensor will be best utilized by landscape photographers, who will get an astonishing amount of details from their photos. This resolution even allows for substantial cropping of images while still retaining image quality comparable to that of competitor’s camera photos uncropped. But with class-leading AF system, providing for excellent speed and accuracy, we can see studio photographers creating some excellent detailed portrait stills, and the same goes for product photography. We could even recommend this camera for wildlife photography it was wasn’t for somewhat limited performance when it comes to burst speed (5FPS). While it can still produce impressive results in sport and wedding photography, these are not the areas we would recommend for this camera. Due to relatively weak noise handling, the 5DS R might not provide the best results in low light where higher ISO is necessary. Another reason to avoid situations where large quantities of image files are unavoidable is the enormous file size produced by this resolution. It makes transferring and editing photos a time-consuming effort. Video is not an area where 5DS R excels, to say the least. Video-related hardware connectivity options are limited and the resolution only goes up to 1080p at 30fps. While it can produce sharp video and will do fine for casual video recorders, it is clearly not intended for serious video production. 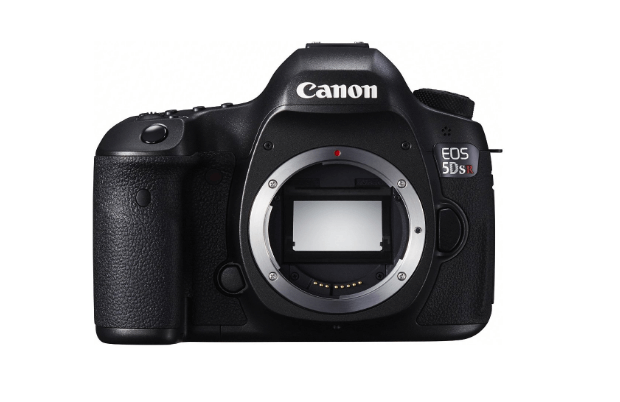 The 5DS R is not an all-around camera such as the 5D Mark III or Mark III. Instead, it stands as their brother camera intended for specialized use in a niche audience. As such, it might not find a lot of users, but those who do need it for what it offers will be more than pleased with the results. Some might doubt the reasoning behind buying this camera because there are alternative high-resolution options such as the Nikon D810 which offers a 36MP sensor with better noise handling and dynamic range. But when it comes to pure image quality in terms of sharpness and details, it is very hard to beat the Canon 5DS R, and we think that goes a long way in persuading potential users.